Western Sydney Rollers’ representative roller derby team is called The Boutlaws. 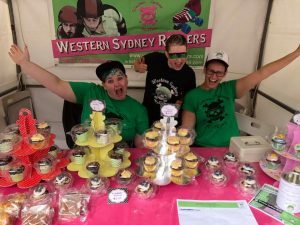 The Boutlaws is a travel team that competes in the elite NSW 5×5 Roller Derby Competition. The Boutlaws train hard so that they can fully enjoy playing in the 5×5 Roller Derby Championship. This year The Boutlaws will compete in the Battlegrounds class of the competition. They also look forward to meeting players from other leagues around the state, socialising at the Championship after party. It takes time, dedication and expert skating skills to make it onto The Boutlaws. The players, Bench Managers and trainers must work together to achieve success in the mad-house that is roller derby. 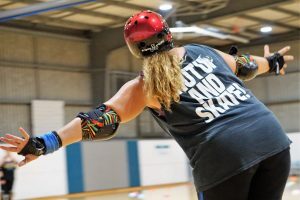 The first game of the 5 x 5 Championship rolls into Bateau Bay on Saturday 23 March, 2019. Keep up with the activities of The Boutlaws on our website and follow Western Sydney Rollers on facebook and instagram. The Boutlaws love supporters, so come along and enjoy cheering them on! Get your ticket today through Eventbrite. 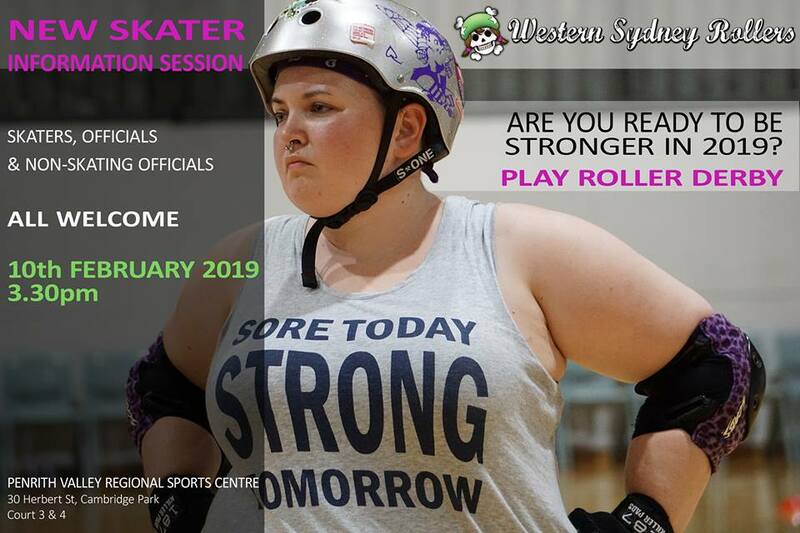 Western Sydney Rollers is hosting an information session and new member intake in March, 2019. 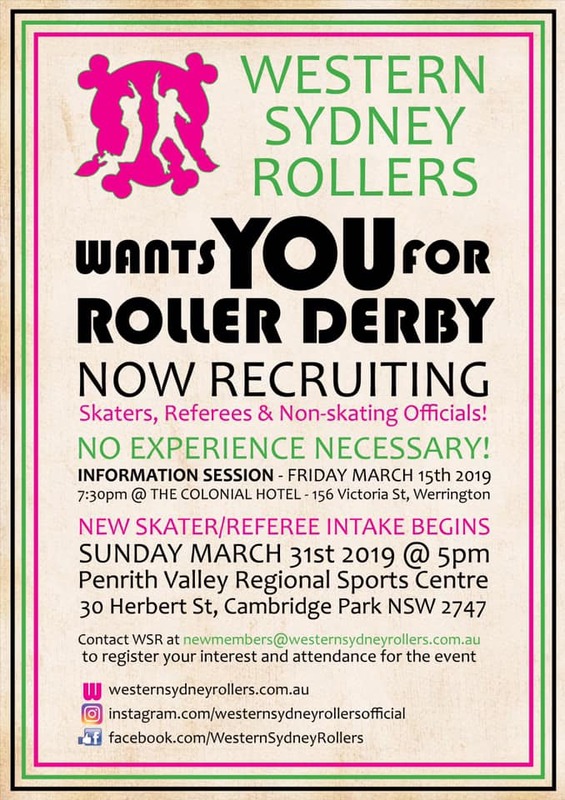 On Friday 15 March 2019, the team from Western Sydney Rollers will be at The Colonial Hotel from 7.30pm to host an information session. 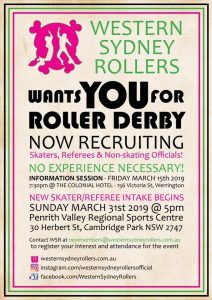 If you’re interested in joining roller derby; as a referee, official (on or off skates), a player or supporter, come along to The Colonial. Grab a meal and a drink, relax and get to know some of our members while you ask them all the questions abut this great game and how you can add roller derby to your life. Our newest members will be able to start on Sunday 31 March from 5pm. 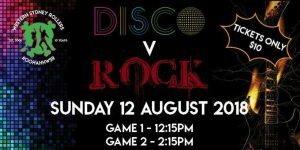 Freshies will meet at the Penrith Valley Regional Sports Centre (30 Herbert St., Cambridge Park) to start their roller derby Journey. The first freshie session will start with an orientation and information, followed by an off-skates fitness session and some light introductory skating. The Boutlaws are bringing it to 5×5 in 2019! 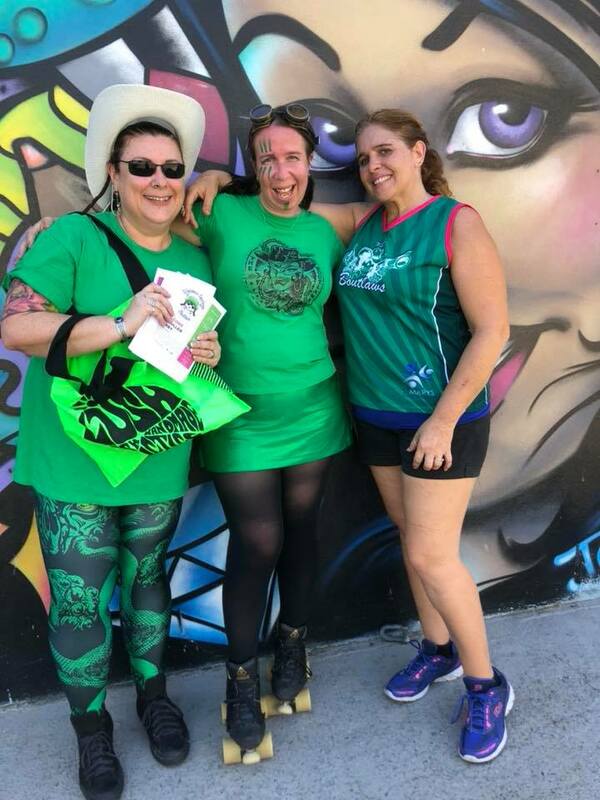 Western Sydney Rollers’ representative team, The Boutlaws will take on the challenge of the 5×5 Roller Derby Championship in 2019. 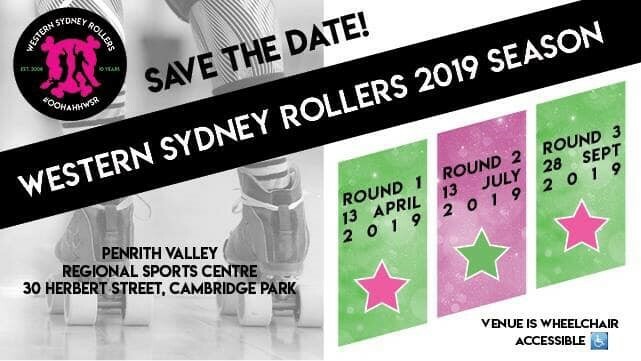 The 5×5 Championship has three divisions and is THE representative event for roller derby teams in NSW. The Boutlaws will compete in the Battlegrounds division. This posse of women is the toughest bunch of gals out west, and they’re aimin’ for some straight shooting and hard jamming as they take on the some of the sharpest posses of skater girls around. Having competed in the tournament previously, 2018 left The Boutlaws wanting more with a mixture of veteran skaters and shiny fresh faces aiming to take out the Championship. The team will be led by experienced Bench Managing duo, Buzzkill and Bad Samaritan. Stay tuned for The Boutlaws line-up soon! Join us on Facebook and Instagram for more updates. 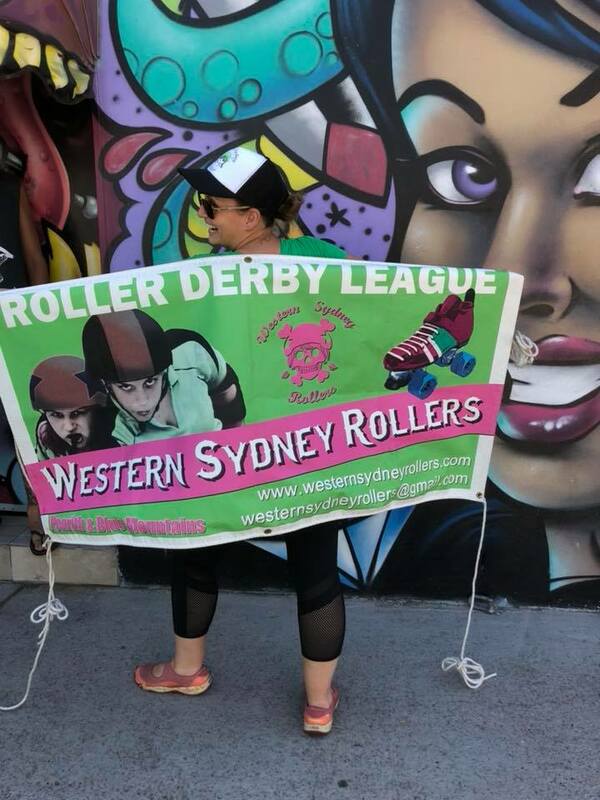 Meanie Queenie is Western Sydney Rollers’ (WSR) Rookie Liaison. Debuting in the league’s new role in 2018, Meanie (aka Charlie), is on hand to help freshies settle into the league. 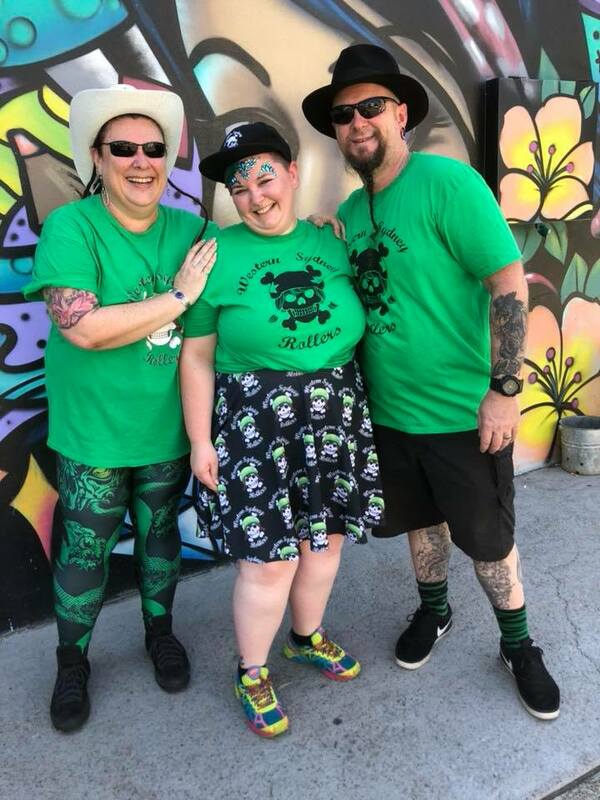 Don’t let her name intimidate you, Meanie is a big softy at heart and is well-versed in all things roller derby – especially when it comes to WSR! Having been involved in roller derby for three years, Meanie became involved in the sport as a way of getting fit and escaping a high pressure workplace environment for a few hours each week. Little did she imagine how much of a difference derby would make to her world! How Meanie helps out the newest members of WSR! Learn more about fresh meet. P.S. We don’t have a photo of Meanie (she’s a bit shy) so you’ll just have to meet her in person! Q. What’s green, whips up a mean cake and takes to Penrith’s High Street on wheels? A. Your favourite WSR derby guys and gals in the Penrith CBD Festival of the Green! Skaters and bakers recently took to High Street as part of the annual street parade. Dressed all in green, representing a big, green derby machine, skaters of all ages and abilities represented the league on a scorching hot day. Staying cool in spite of the conditions, WSR proved that they were talented on skates AND in the kitchen, selling a delicious array of baked goods. Skating and cupcakes? What’s not to love?! 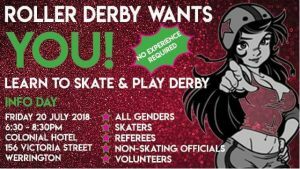 Make sure that you roll along to our next bout to catch all things sugar and skates.